This evening, I met my stranger of the day while waiting at the bus stop. He had just finished playing an intense game of dodgeball to some Bollywood music and was on his way home. His name is Aleem. Aleem is pursuing a combined degree in three different science streams at UBC, including life science, health science, and earth and ocean sciences. He’s considering going to medical school and just wrote his MCAT yesterday. It was tough, he explained, but he thinks it went well. Aleem’s advice? “Manage your time well and don’t study too hard.” I think this one will hit home for a lot of us getting back into the swing of school this semester. I’m going to try my best to follow his wise words. In just a few minutes I learned that he’s patient, good at listening, and encouraging — smiling the whole time we were talking. 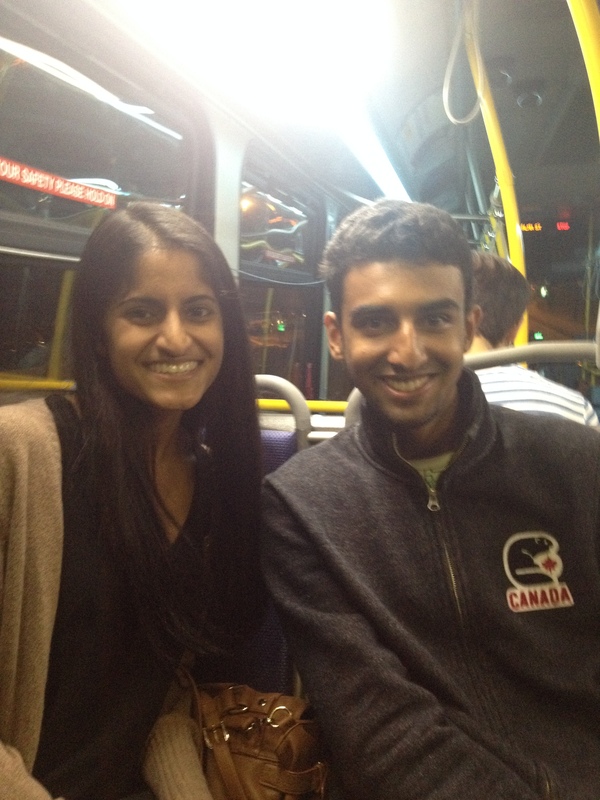 Our conversation was as brief as the bus ride, but I’m glad that we met.